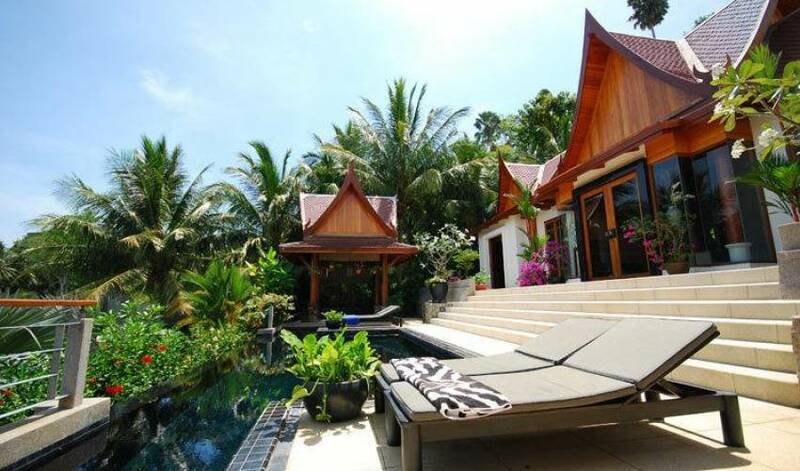 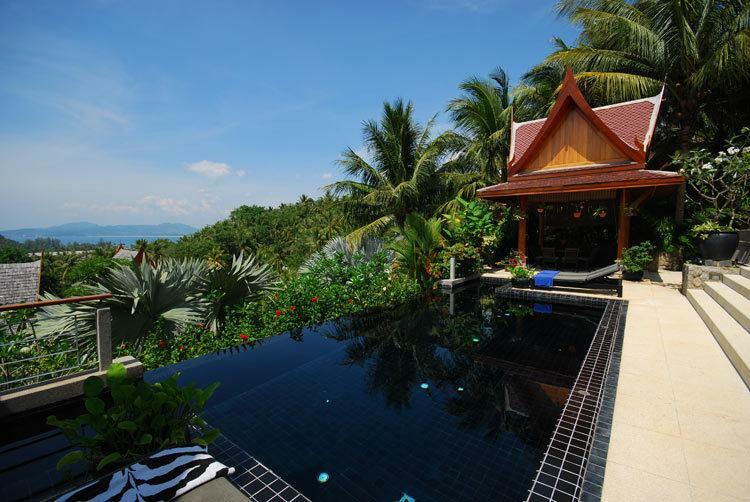 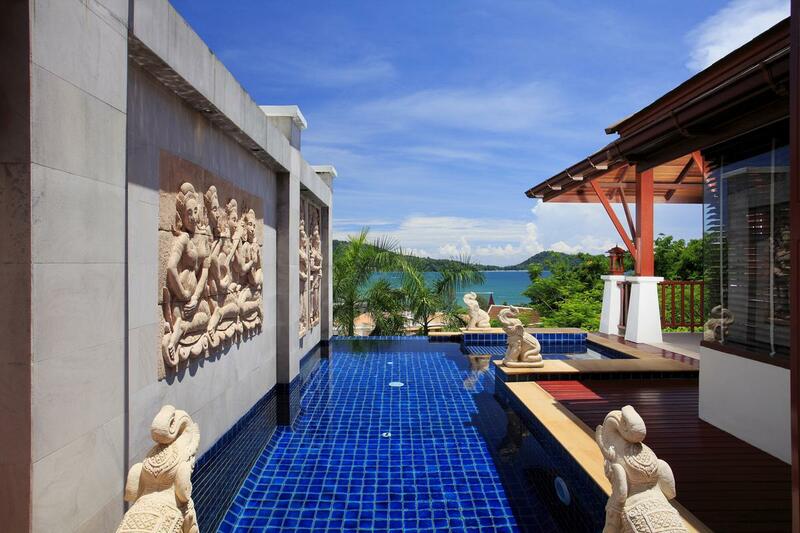 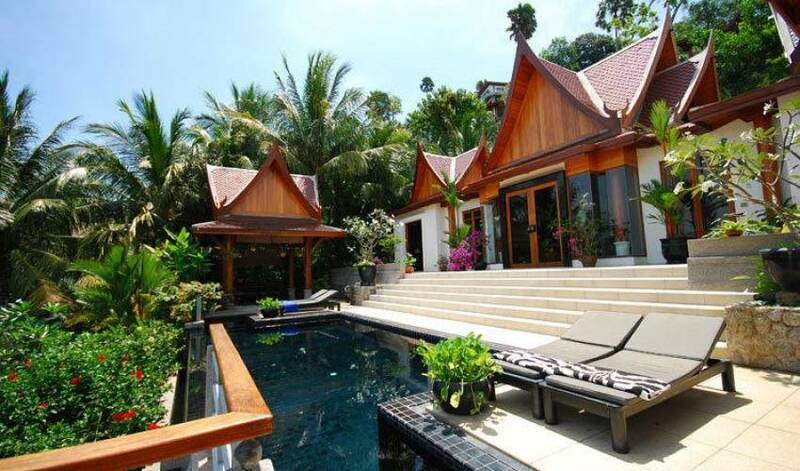 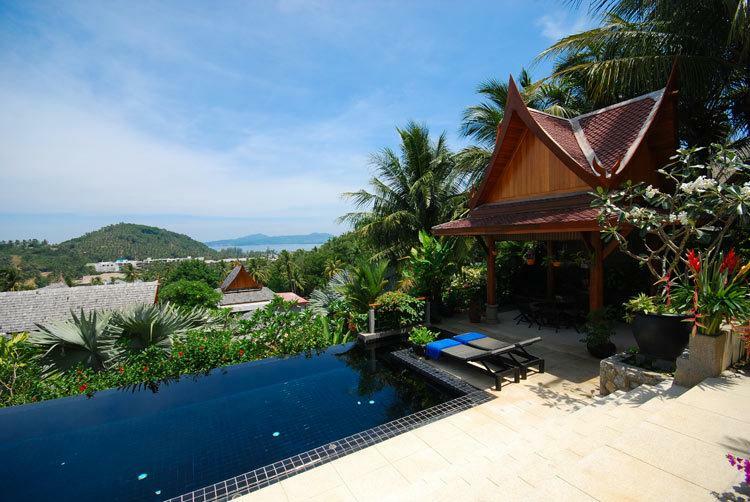 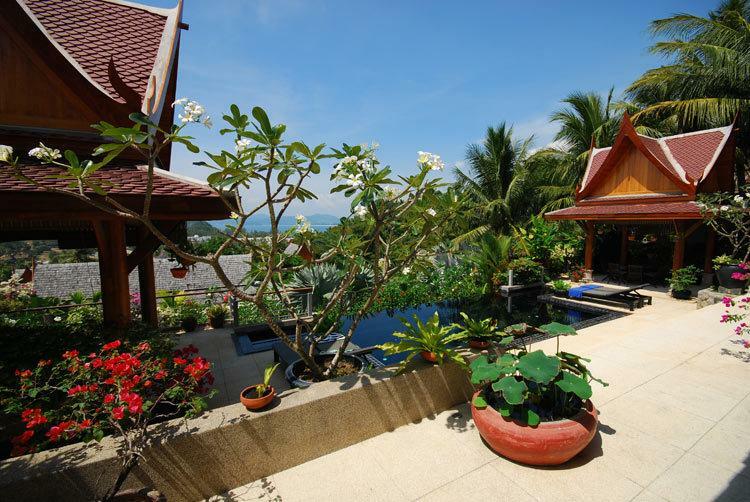 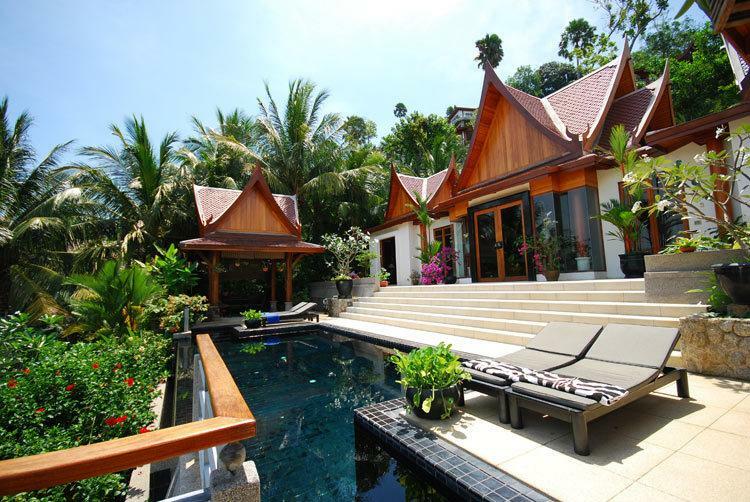 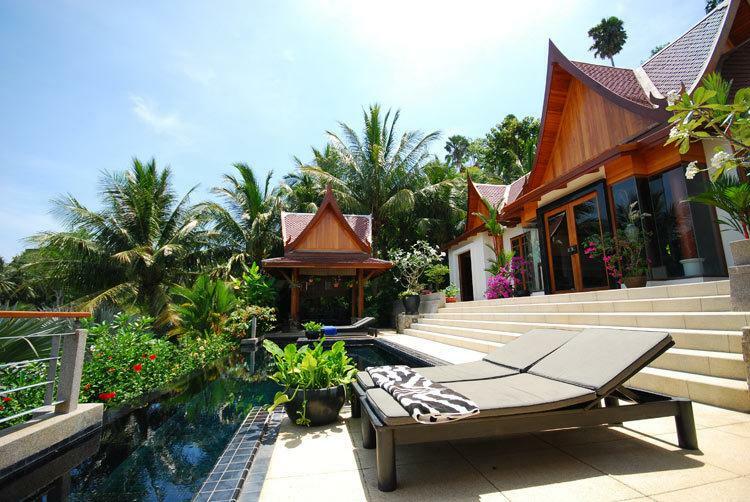 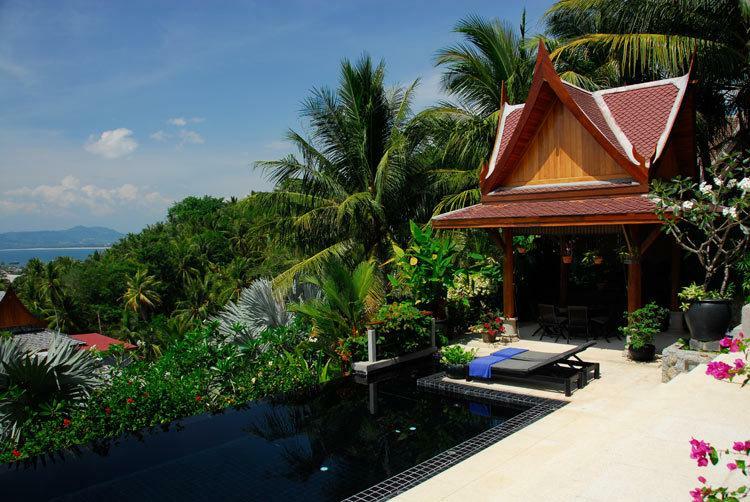 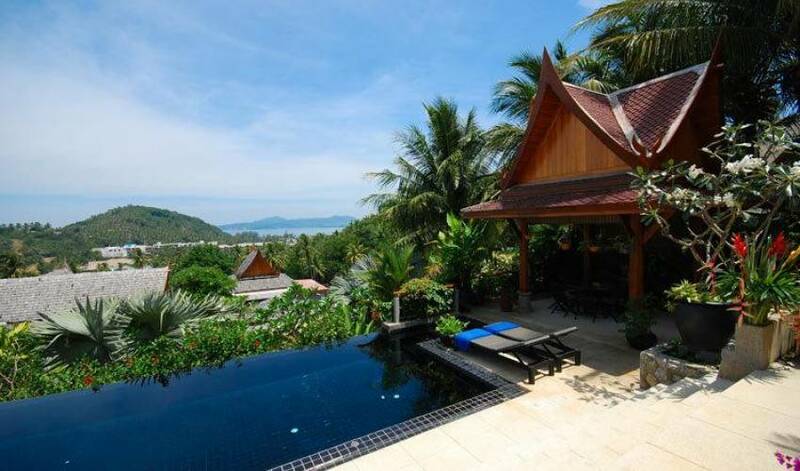 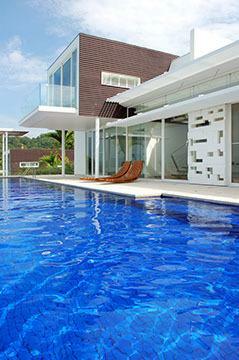 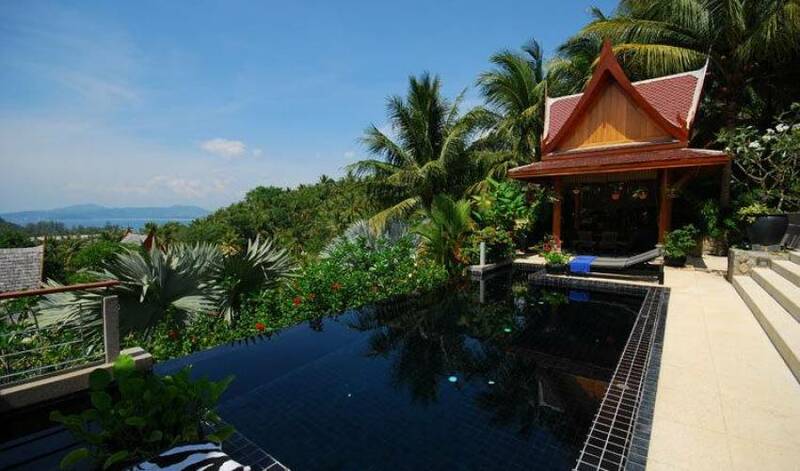 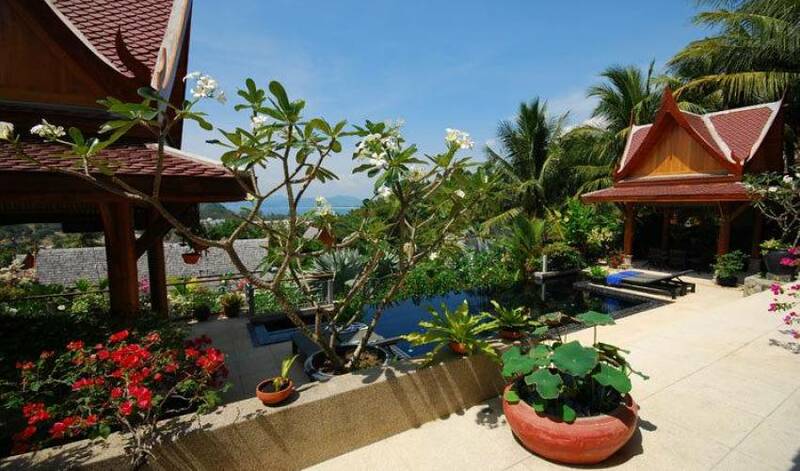 This modern Thai villa is located in Phuket, Southern Thailand and sits at 50 meters above sea level, commanding stunning views of the Andaman sea, the Amanpuri Hotel headland and Bang Tao Bay. 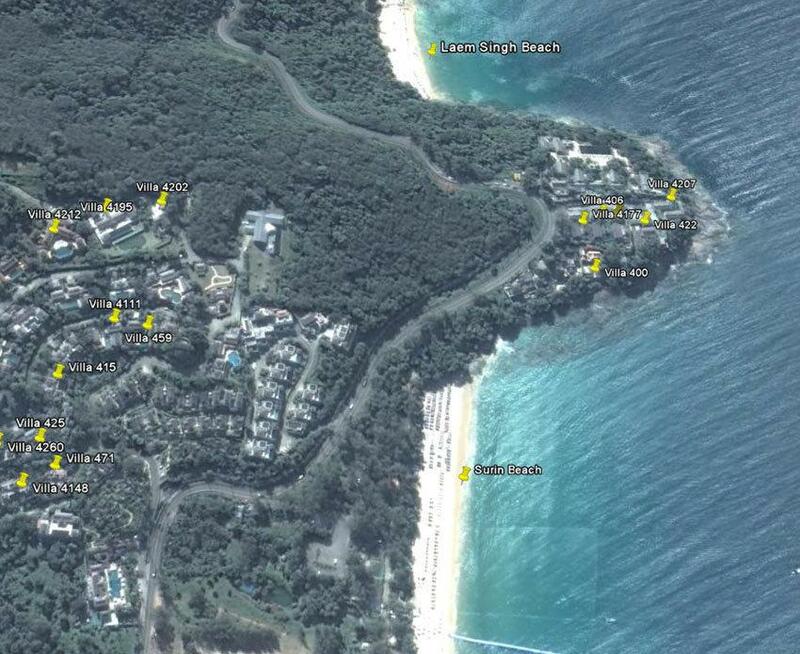 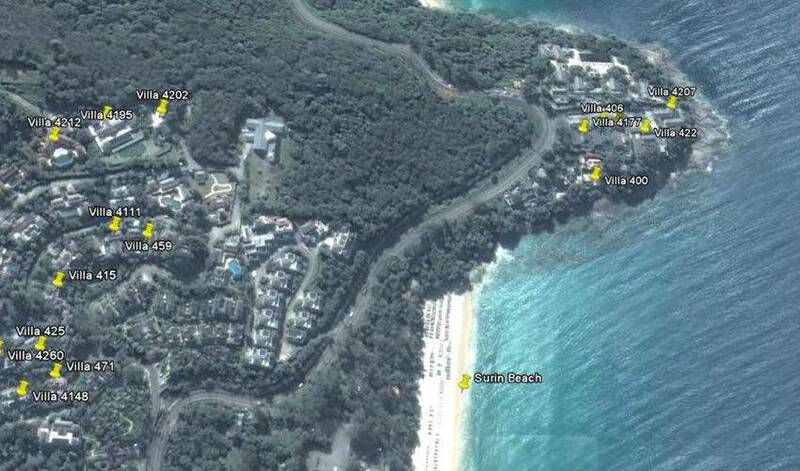 Surin beach is literally at the bottom of the hill. 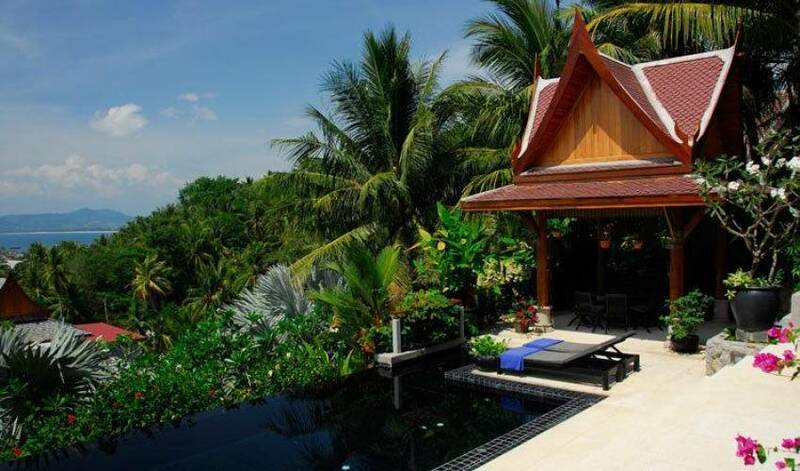 Along with a hand made ceramic tiled pool and 2 outdoor salas, this villa's features include two Master bedrooms with full bathrooms and spa. 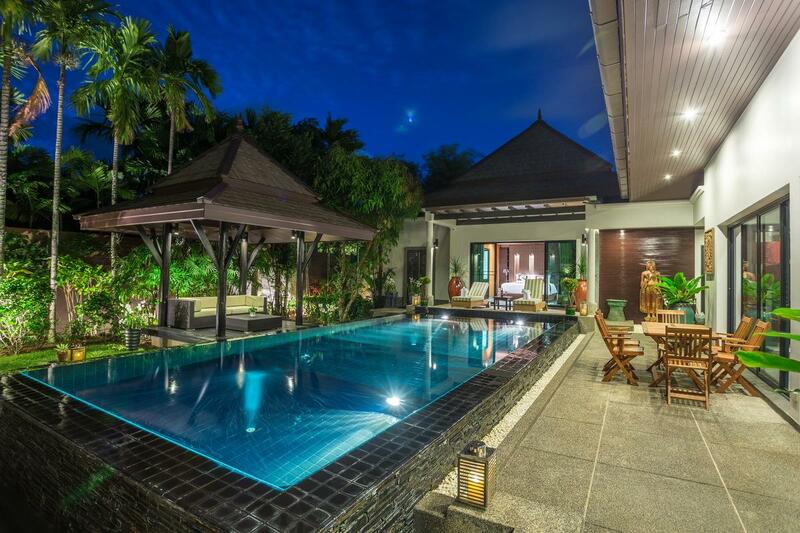 Also included is an office space with fax and computer hook-up, large kitchen, entertainment area with large screen TV and Surround Sound DVD.